This mirror will add some vintage appeal to your decor. Frameless design with bevelled edges. Perfect for displaying in the living room or hallway. Frameless design mounted on a burnished black and copper wooden back. This mirror comes with an arched top and shaped bottom in an aged look that just adds to it's simple beauty. This will easily suit a vintage or traditionally styled interior. 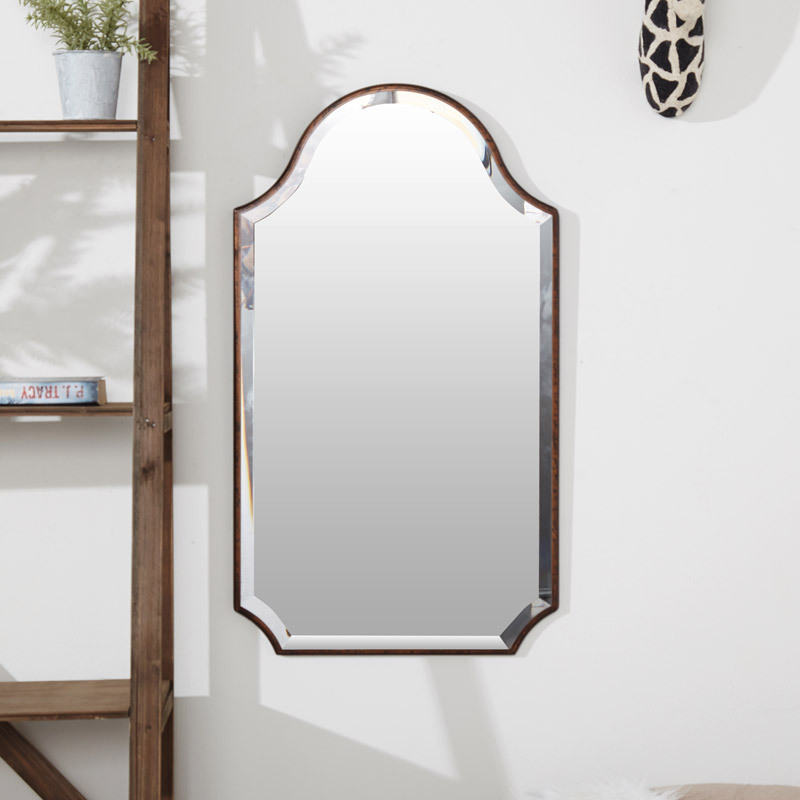 This mirror will add some vintage appeal to your decor. Frameless design with bevelled edges. Perfect for displaying in the living room or hallway. Frameless design mounted on a burnished black and copper wooden back. This mirror comes with an arched top and shaped bottom in an aged look that just adds to it's simple beauty. This will easily suit a vintage or traditionally styled interior. 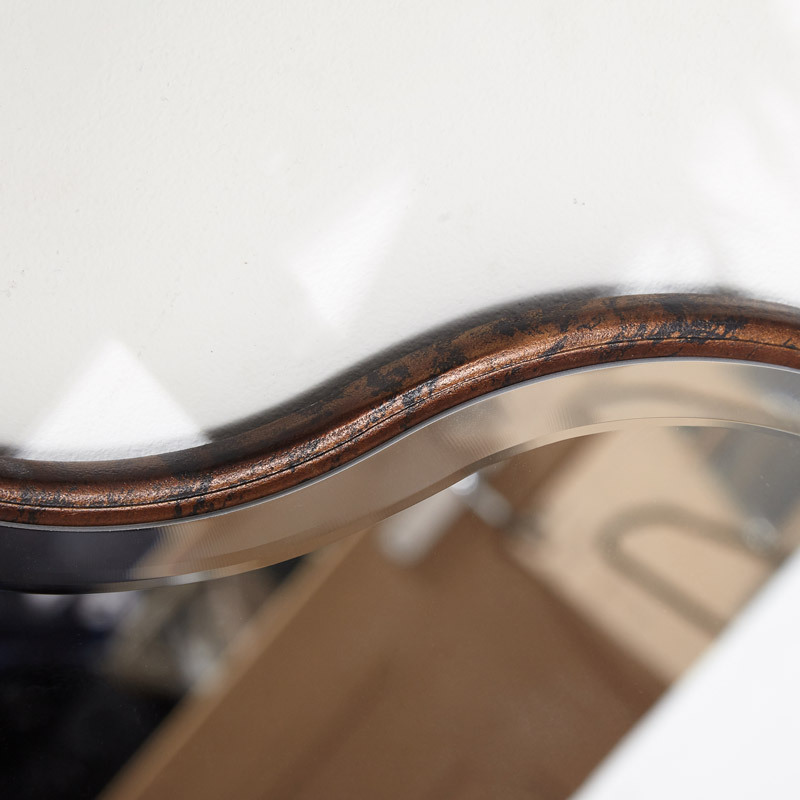 Shaped, bevelled mirror mounted on a wooden support with a black and copper finish. The mirror is heavy and will need secure fixings (not included), wall mounting instructions are included. Just one of our many wall mirrors with a wide range of different styles, colours and effects with someone to suit every style interior.